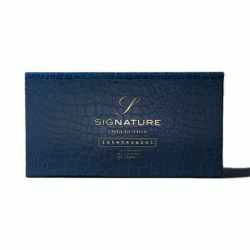 Signature Collection There are 6 products. An exclusive case with the infusions of the best quality Signature Collection of La Tetera Azul. 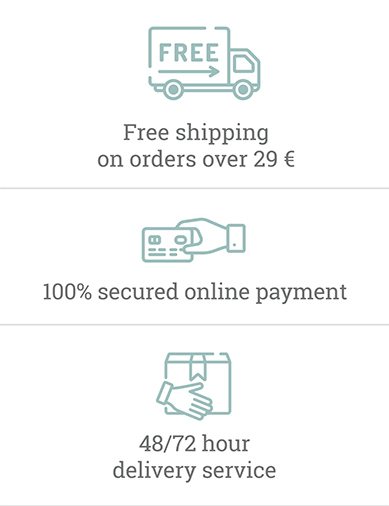 The perfect gift for gourmets of infusions. 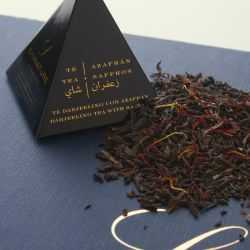 Box composed of: Pai Mu Tan white tea with saffron, Oolong tea with saffron, Darjeeling tea with saffron, Chamomile with saffron. Discover luxury in a cup of tea. The luxury of the Signature Collection infusions from La Tetera Azul in an exclusive case. The perfect gift for lovers of infusions. 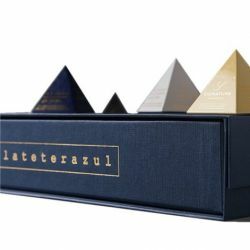 Box composed of: Pai Mu Tan white tea with saffron, Oolong tea with saffron, Darjeeling tea with saffron and Chamomile with saffron. Awaken all the senses with these unique infusions. 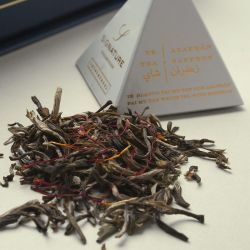 White Tea has historically been reserved for Emperors. 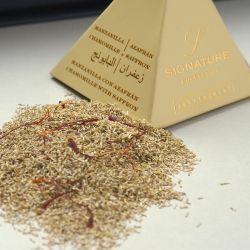 Its “white needles” marry perfectly with the intense aroma of saffron. 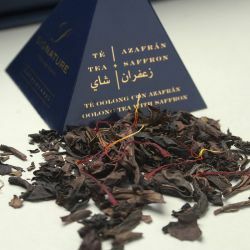 The black dragon’s tea magic will enchant you. Cultivated by the Himalayas in the high Darjeeling region, our Darjeeling with saffron captivates the soul. Any time is good for chamomile flowers herbal infusion, saffron and lots of love.